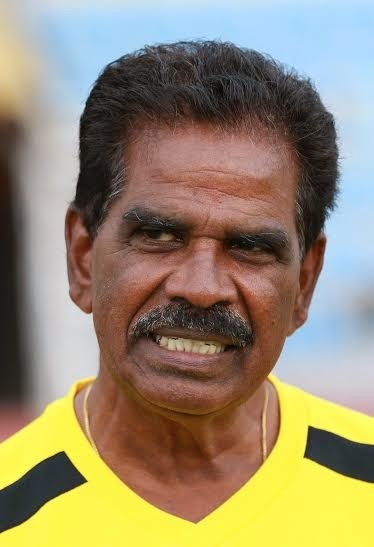 Datuk M. Karathu is the oldest coach in the M-League but in training and on the field, he has his players at his mercy. The Bagan Serai-born Karathu who turned 72 on February 23 has done it all in football – a national player, coach from junior to senior level, coach educator, technical study member and football pundit. The next oldest coach in the league is Terengganu’s Abdul Rahman Ibrahim, who is 69. 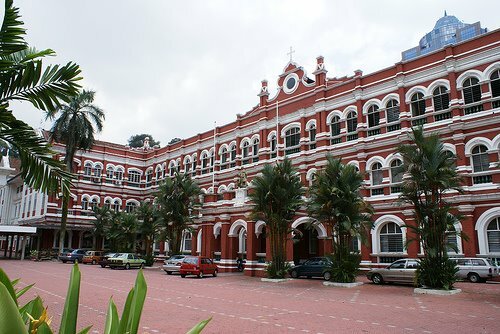 Karathu the much travelled coach has dedicated his whole life to football from years when he started to play for his alma mater – King Edward VII School Taiping – in 1961 and went on to play for the Perak State school and also the Perak State Burnley Cup team. 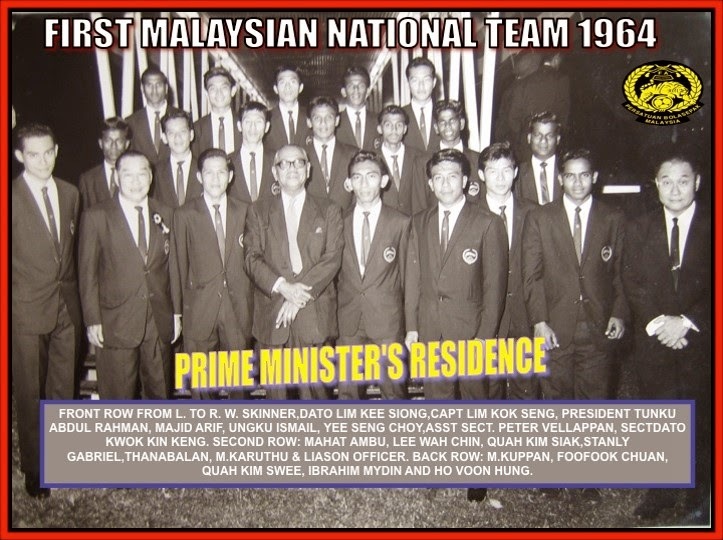 From 1962 to 1971 he represented the Perak State team and also donned national colours from 1964 to 1969 playing in the Merdeka tournament and was the captain for the 1968 tournament (1964-68), Sea Games (1965 & 1967), Asian Games (1966), Vietnam Independent tournament (1964-1968), Asian Cup championship (1965) and played against English 1st Division team Southampton and against Asian All-Stars in 1966. 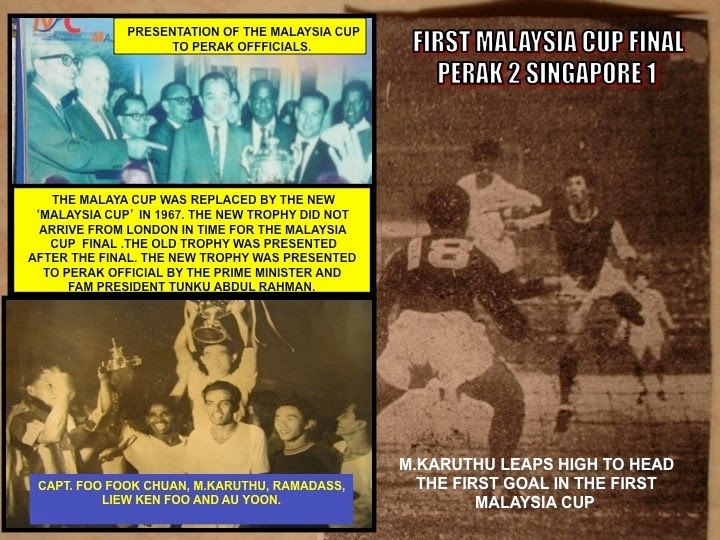 “It has been a long road of involvement in football but till today my passion for the game remains,” said Karathu who helped Perak win their first ever Malaysia Cup in 1967 beating Singapore 2-1 after making is first Malaya Cup final in 1964. “I am still thirsty for football knowledge because the game is always changing and coaching methods have been changing and improving to keep up with the changes in the game. “I had no hesitation when Perak invited me to coach the team in the M-League this season. 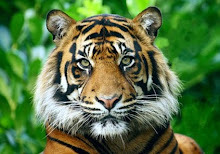 Besides, it was homecoming,” said Karathu who last coached Kelantan in the M-League in 2011. 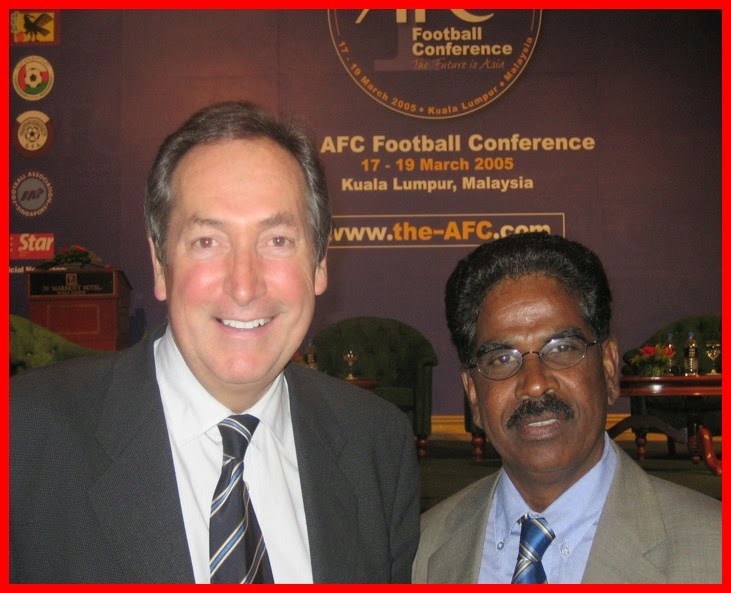 Karathu was involved in grassroots development with Royal Selangor Club Junior football development programme in Kuala Lumpur as their technical director for two years from 2013 and used to travel every weekend from Ipoh. “It was a fresh challenge and I cherished the thought about with a young team. Although by the time I took charge of the team this year, the selection was already done, I was glad that the team comprised many young talent. “I have worked the players hard and they have responded well and our target is to finish among the top five in the league and qualify for the Malaysia Cup. 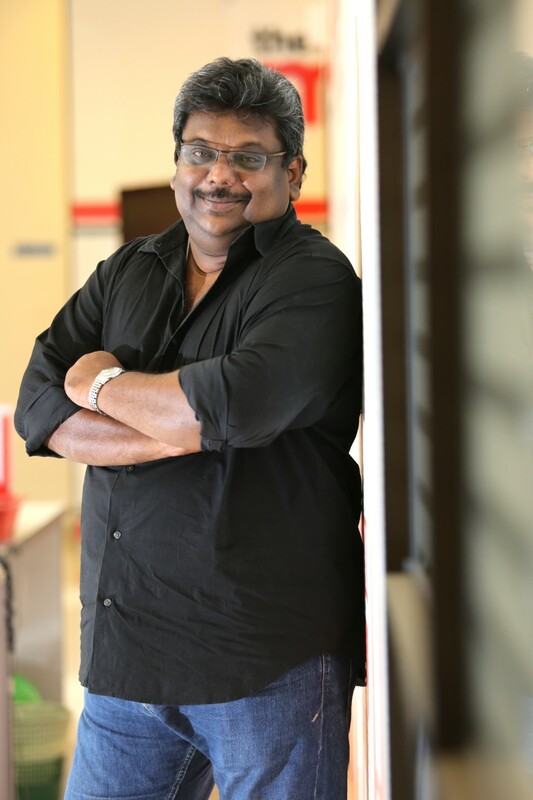 It is our hope to do well in the Malaysia Cup and if we can reach the last four it will be an achievement,” said Karathu who is a highly qualified coach. Besides his FA of Malaysia A Licence, he has a FIFA coaching licence from the FIFA Coaching School for Asia in 1972, FA England Preliminary badge and attachment stints with Derby County, Westham United and Coventry City in 1974, first Asian Football Confederation coaching certificate in 1987, AFC Senior coach education instructor and diploma from UEFA trainers’ association in 1994. At the grassroots level, Karathu under the one school, one coach programme had produced 1,050 coaches when he was in charge from 2004-2008. Karathu was also a member of the panel of national coaches from 1974-1978, for the national youth and national teams and first director of FAM Football Academy from 1991-1992. His coaching stints included overseas duties as chief head coach of Sri Lanka Football Association (1999-2000), technical director of Tajikistan Football Association (2001-2001) and chief coach of Woodland Wellington FC in Singapore from 2002 to 2003. At home he has coached Perak in 1989 and 1990 and from 2001 to 2009 also doubling up as technical director. He has also coached other state teams which include Negri Sembilan from 1994-98 and Kelantan 1993 and 2011. 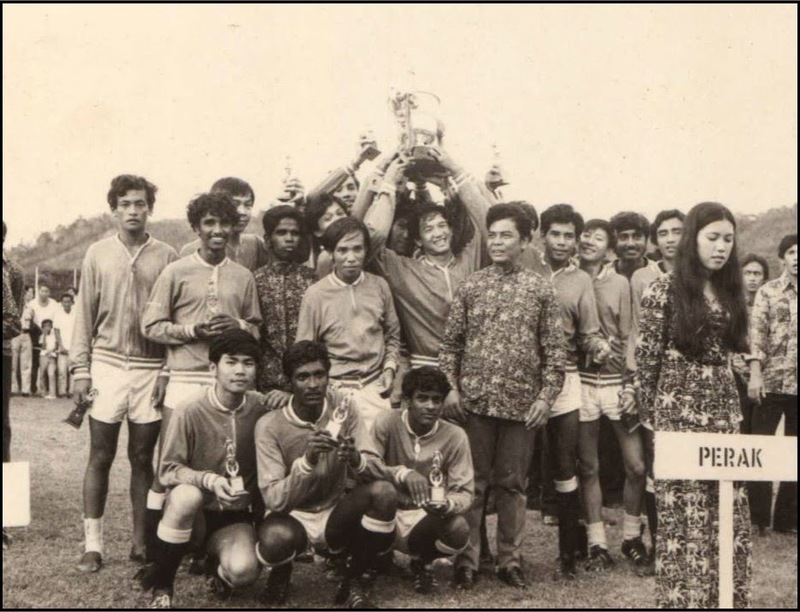 He also made his mark with Kinta Indian Association where he was the coach from 1980 to 1988 where he had help win several honours which include the Ipoh League title and FAM Cup. 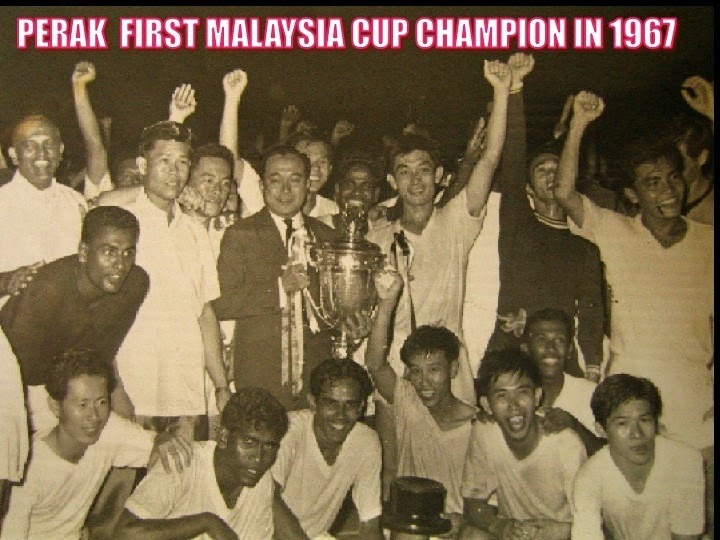 He has also scored many first besides winning the Malaysia Cup and they include coaching the Razak Cup team to victory in 1972, KIA being the first club team from Perak to play in the FAM Cup final in 1988, Perak winning the FA Cup for the first time in 1990 and first Malaysian coach to coach in foreign land (Sri Lanka). 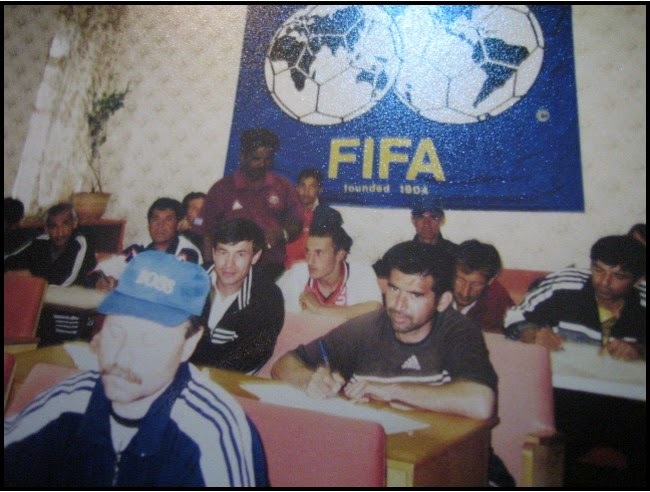 He also had the honour of being in the technical study group of Euro 1992 in Sweden, technical analysis group of World Cup 1994 by European Trainers’ Association in Porto and technical delegate for Asian Cup 2000. 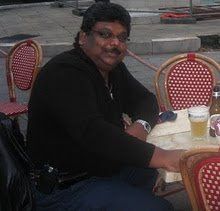 Karathu, not known to many expect his close family members also goes by the name of Rajendran. Karathu, father of three children (two girls and a boy) all grown up and are professionals, is also a grandfather to five grandchildren. But instead of spending time with his grandchildren, he still prefers to be on the field. “Of course I spend time with my grandchildren, but I want to do what I love too – football,” said Karathu. “I can still divide my time for everything I need to do, just like what I have done all my life,” said Karathu who worked with Central Electricity Board (CEB) for 25 years as an examiner before he opted for retirement when he was 50. And it was one area Karathu felt that present players fail to manage well. “Professional football is like doing a degree in a university. One has to be dedicated, work hard and be disciplined. Many of our players lack character and the passion for the game. This is what I try very hard to instil in players whom I coach. It is an educational process. 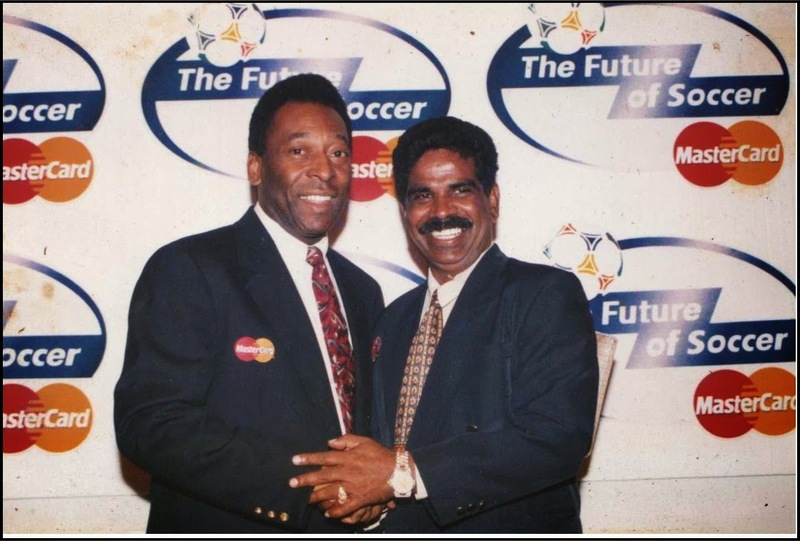 “For example, former national captain Datuk M. Chandran stayed on top for a long time and was a good player because he gives nothing less than his best be it in training or game. “Today we have many talented players, but lack the heart and knowledge for the game. They lack character and the mental strength for today’s game. Karathu said that Malaysian football needs a high-level committee to address these ills to make Malaysian football better. “Only then we can see better quality players’ rise. Karathu said he has no regrets in his football career. Asked if retirement plans was no his mind, he simply replied: “ I will continue to be involved in football in whatever capacity I can as long as I am healthy and can come to the field,” said the natural left winger who used to terrorise his opponents with his speed and skills.